Cats eye gemstone is an excellent looking gemstone due to its chatoyancy effect. The stone appears quite identical to the eye of a cat. Therefore, it is called a cat eye gemstone or because it is an opaque stone, therefore, it is called lehsunia stone in Hindi. The cat’s eye gemstone is a powerful gemstone which represents the celestial power of shadow planet Ketu. Its affiliation with the substantial and vengeful planet Ketu boost its demand and value. Since Ketu is a dangerous and instinctively acting planet which can either bring positive or negative results entirely based upon Ketu existence in the respective horoscope of an individual. Fortunately, if it exists in positive houses so it brings the fastest auspicious results in the life of its wearer. Nevertheless, to obtain positive results offered by this stone in own life; one should wear natural cat’s eye gemstone. Unfortunately, it is extremely hard nowadays to find a certified or real cat’s eye gemstone. If a high-quality cat’s eye stone is put over the bones of a person for 24 hours straight so it preserves so much energy that it makes hole across the bone. 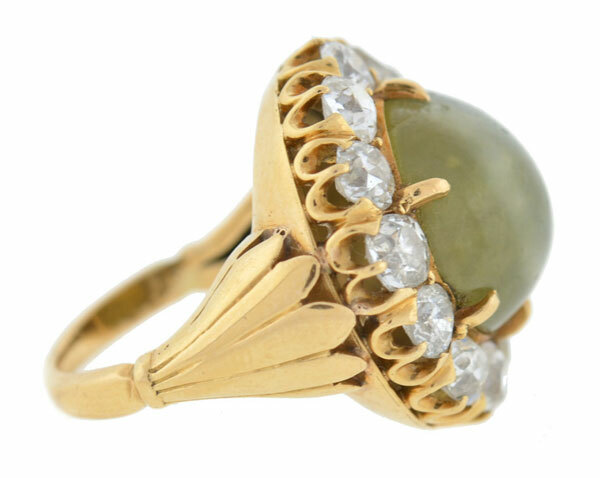 A real cat’s eye stone contains few inclusions which appear and jiggle inside the stone. And, it is clearly visible with naked eyes. A real cat eye stone will possess high transparency and contain fewer inclusions and it is clearly being visible to a person when the stone is being put under the magnifier. A real cat eye stone is hard and it will not break when it is rubbed against a hard substance. Thus, to find out whether cats eye is real or fake, you can rub it against a rigid substance and if it imposes a smudge doing so. Then it is a fake stone. One should always buy this stone from a highly reputed gem dealer who has gained reputation and experience in this field. Since a rich quality cat eye stone will be expensive but preserves rich qualities. To find out whether this stone is real or fake one should visit a gemologist who can check rigorously and find out whether this stone is real or fake by using different measures.